Mitral regurgitation (MR) is a common valvular disorder affecting millions of people in the United States and Europe. The etiology of MR can be divided into primary MR, caused by pathology of the valve apparatus, and secondary, a functional consequence of ventricular dysfunction. The clinical course of MR is generally insidious and, if left untreated, leads to heart failure and ultimately death. Despite the fact that surgery is considered the gold standard for the treatment of severe MR, over the last few years, an increasing amount of data has suggested that a substantial proportion of patients are not suitable for surgical treatment due to the presence of comorbidities, leading to poor procedural and long-term outcomes. In this context, over the last decade, the evolution of device technology has resulted in the development of less invasive interventional techniques designed to target the different components of the mitral apparatus. 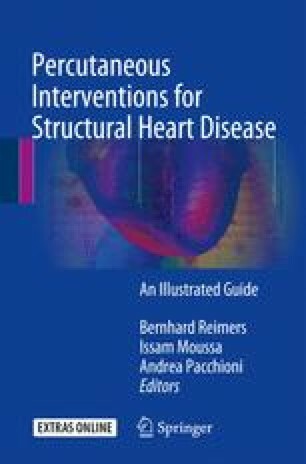 Due to the extreme complexity of the mitral valve (MV) and the multiple etiologies of the disease, the efficacy and the safety of many of these new techniques are still under investigation. There are currently an increasing number of devices under investigation and ongoing randomized controlled trials that demonstrate the deep interest in the percutaneous treatment of MV disease and promise an intriguing future for technology in this field.